Switch on cable news or catch an article in just about any local or national newspaper. On any given day, you are likely to encounter coverage of the raging controversy over U.S. immigration. And in that coverage, you’ll often come across the comments of Ohio lawyer David W. Leopold. 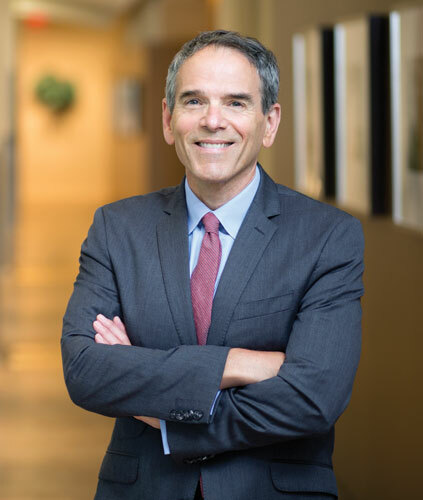 Past president and general counsel of the American Immigration Lawyers Association, the premier bar association of immigration lawyers and professors in the U.S., Leopold chairs the Immigration Law Group at Cleveland-based Ulmer & Berne. 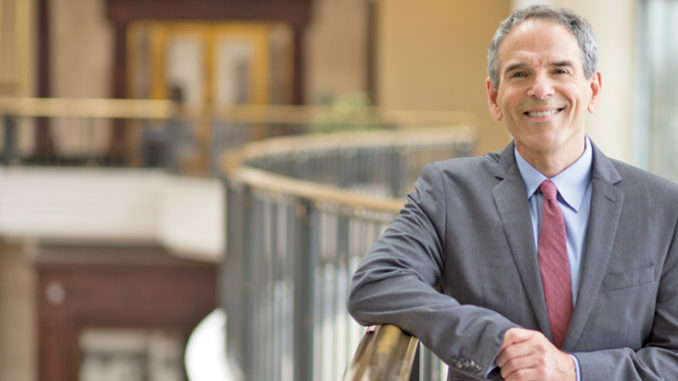 The firm acquired Leopold’s independent law practice, where he had distinguished himself as one of the nation’s leading immigration attorneys, last year. When he is not on the national stage speaking out about what he sees as the inequities and unfairness in current U.S. immigration policies, Leopold is representing individuals and businesses struggling to navigate through the thicket of visa and compliance issues that bedevil companies and families alike. The Detroit native has chosen to do all this in Ohio, and he feels that Ohio citizens—and particularly its business and political leaders—need to understand and appreciate the stake they personally have in the adoption of immigration policies that serve the public good. He passionately argues that sensible immigration rules and enforcement are good for the state’s economy. And he warns businesses that they need to be vigilant in remaining compliant with the rules that currently exist. We talked about the current state of affairs, his concerns about immigration misperceptions and why he believes Ohio is a great place to be. Q: What’s the status of family separations at the U.S. border? DL: There are 528 children still missing as of this morning [August 24]. Many of the parents have been deported. Many of them will never see their children again. Q: How long does the reunification process normally take? DL: The process has never involved tearing children away from their parents. This is a unique horror. It’s never happened before. Q: Are any of the children in Ohio? DL: There are children in Ohio, but they are not locked up here. They are in situations similar to foster care. 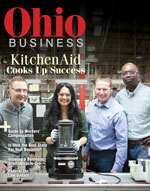 Q: Another article in this issue focuses on agriculture in Ohio. It mentions recent immigration raids at farms in Erie County. Is current immigration policy serving or disserving business in Ohio? DL: Disserving. The raids are one thing but you have the most anti-immigrant administration in the history of the country. To get and retain global talent in shortage occupations, we need these folks. They create jobs here. DL: An occupation where there are not enough U.S. workers. The best example of that would be registered nurses. We simply don’t have enough registered nurses. Also pediatricians. We don’t have enough sub-specialty pediatricians to service the children. Various other health care occupations and IT and scientific fields, engineering, STEM occupations. There are plenty of areas where we could use more workers. What most people don’t understand is that competition for jobs is really a bell curve. On the one end you have jobs requiring a high level of education—people who are involved in cutting-edge research in, let’s say, congenital heart failure. On the other end are people who are doing critical work but who don’t have the same level of education—for example, someone who is picking lettuce in the field—respectable backbreaking work but it doesn’t require the same level of education. Most Americans are in the middle. We are not competing with those at either end of the spectrum. Immigrants tend to come in at one of those two levels. So to say they are taking jobs from U.S. workers is a specious way to frame the issue. It just doesn’t work. We need a government that is going to respect that and also respect that the system needs to be updated. Q: What is the fix? DL: The system is outdated and the law needs to be updated. We’re dealing with a system that was essentially put together in the ‘60s. Which one of us still uses a typewriter at work? The law needs to change with the technology and the times. Q: Do you think our perceptions of immigration have become too narrow because of the border issues happening right now? DL: Yes, of course. We have a president who uses racist imagery and rhetoric to frame the immigration issue. He talks in terms of a wall, in terms that conflate crime and immigration. But he’s also making this broader claim that U.S. workers are hurt by immigration so let’s not let in people who are doing critical research, people who are going to be innovators, people who are going to be investors in this country. All that creates jobs. All the credible studies show that an updated immigration policy won’t hurt the economy. Restrictions on immigration are hurting the economy. Sensible immigration polices actually help create jobs. Q: Your firm represents some of the biggest companies not only in Ohio but across the United States. From that perspective, you say that sensible immigration policies are good for business. DL: Of course. Because, look, the economy is global. Thirty and 40 years ago, if you were a business owner in Ohio it was likely your biggest competitor was the man or woman across the street or down the block. Now your biggest competitor is likely to be in Tokyo or Paris or Beijing. We can’t isolate ourselves economically. Part of being in the global economy means having an immigration law that permits the transfer of highly competent executives and managers and specialized knowledge personnel, and that means having a robust immigration program as well as a well-designated temporary worker program. We don’t have any of that right now. Plus we have a government that wants to shut down the very few aspects of immigration law that do work for business. Q: Do Ohio government and business leaders have a role in fixing what’s wrong? DL: Yes. For example, the attorney general’s office has the power to issue opinions. And in Ohio we have to drive, so there is the matter of license requirements. I’d rather know who is on the road than not. The states have to take more responsibility. For business, it’s a work in progress. Corporations are under attack as never before. They should use their position to take a leadership role to advocate for common-sense immigration—not policies where government is going after grandmothers the way they go after convicted felons. Business has a moral responsibility to make sure that everybody is treated fairly. Q: When I mentioned to an Ohio business executive that I was going to be writing about immigration, he said: “Why should I care?” So: Why should he care? DL: Corporate executives need to be involved now more than ever. Not just because of ICE raids. They need to be in compliance, visa compliance, even if they are not hiring immigrant talent. Even if they never hired a non-citizen, they may be looking at serious fines if they are not in compliance. You could be looking at hundreds of thousands of dollars in fines if you are not compliant. Q: What led you to the field of immigration law? DL: It goes back to my father being a Holocaust survivor. My family had been in Germany for generations and they fled. So I’ve always been interested in fundamental rights, the concept of a safe haven. And that led to asylum law and immigration. Q: Given your national—and even international—prominence in the field, it might be argued that you could more easily practice out of Washington or New York. Why here? DL: Well, I do work out of Washington as well. I have clients there. I work with DHS Watch, which identifies policies that are unfair to immigrants. But to your larger question, I love the state of Ohio. It’s a great location. It’s a gorgeous place and I love the cultural tapestry. I love Cleveland and Columbus and Cincinnati. Just don’t ask me about it in January or February.